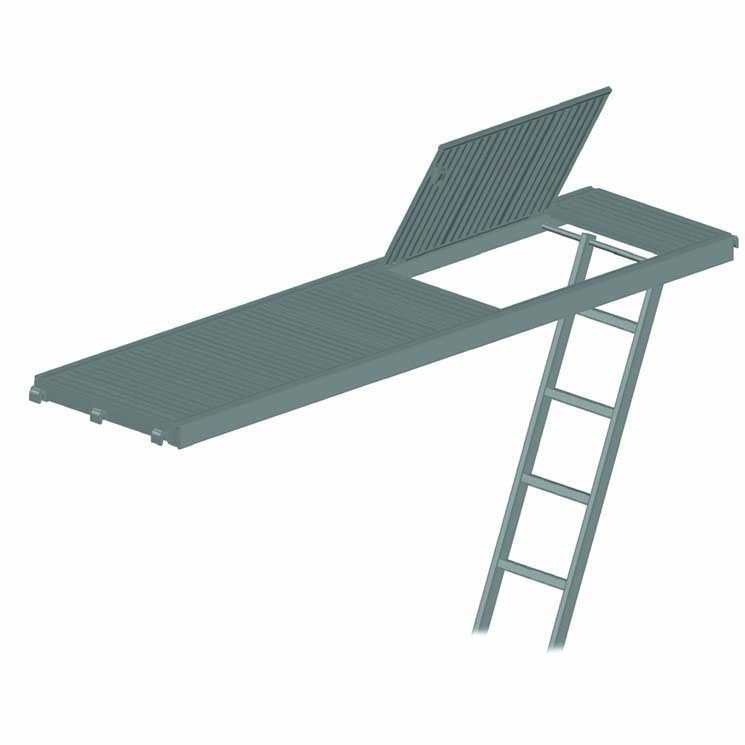 Access Deck with full aluminium surface. Frame with solid forged steel claws for tubular horizontals and integral deck retainer. Ladder included to enable easy and safe access.